In 2003 Richard and Diane Marleau decided to build the ultimate retirement home. With 15 years of experience in caring for seniors in three separate Homes they had the knowledge and experience to build a facility that not only looks great but offers unique features for both residents and staff. Every detail was carefully throughout, from the width of the doors to the separate activity room, the separate guest dining room to the size of the closets. Construction began in 2004 in Limoges Ontario on site adjacent to St-Viateur Nursing Home. The rural setting offers calmness and tranquility. The nearby towns of Limoges, Embrun and Casselman are growing. Ottawa´s proximity and easy access via Highway 417 make for an interesting location. The building welcomed its first residents in the fall of 2005 and has since become a beacon of caring in the community. We have organized yearly fundraisers for our local branch of the Alzheimer´s society. We welcome the local Alzheimer´s day program to our activities several times a year. We also take great pride in providing learning opportunities for our community´s youth as we welcome coop education students at every occasion. 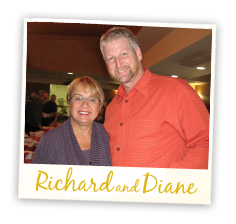 In the past few years Richard and Diane´s eldest children have joined the Family business; Benoit as an Administrator and Chantal as a Nurse at St-Viateur Nursing Home. From an early age both have been engulfed in the family´s quest to provide the best care for our seniors. Anchored by strong values they now continue their parents´ life´s work. Richard has been providing care for the elderly since 1987. Throughout his carreer he has owned and operated Sarsfield Nursing Home. St-Viateur Nursing Home as well as Le Domaine Boisé and Le Genesis retirement homes. 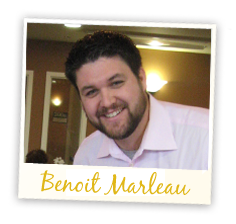 Benoit joined the family business in 2008 after a 10 year carreer with the Federal Governement. He holds a Double Bachelors' degree in Canadian Studies and History. Benoit is responsible for managing both the Genesis and the Domaine Boisé.